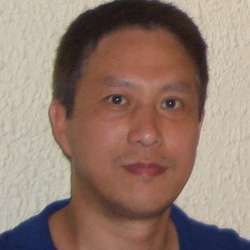 HONG YANG received the Ph.D. degree in Applied Mathematics from Princeton University, Princeton, NJ, USA. He worked in academia and for a start-up network technology company before joining Lucent Technologies and Alcatel-Lucent, where he was with the Wireless Design Center, the Systems Engineering Department, and the Bell Labs Research. He is currently a Member of Technical Staff with the Mathematics of Networks and Communications Research Department, Nokia Bell Labs, Murray Hill, NJ, USA, where he conducts research in communications networks. He has co-authored many research papers in wireless communications, applied mathematics, control theory, and financial economics. He co-invented many U.S. and international patents. He co-authored the book Fundamentals of Massive MIMO (Cambridge University Press, 2016). “User scheduling in Massive MIMO”, Proc. 19th IEEE International Workshop on Signal Processing Advances in Wireless Commun., June 2018. “Energy efficiency of Massive MIMO: cell-free vs. cellular”, Proc. 87th IEEE Vehicular Technology Conference, June 2018. “Massive MIMO for industrial internet of things in cyber-physical systems”, IEEE Trans. Ind. Informat., 14(6):2641 - 2652, June 2018. “Max-min SINR dependence on channel correlation in line-of-sight Massive MIMO”, Proc. IEEE GLOBECOM , Dec. 2017. “Massive MIMO with max-min power control in line-of-sight propagation environment”, IEEE Trans. Commun., 65(11):4685 - 4693, Nov. 2017. “Precoding and power optimization in cell-free Massive MIMO systems”, IEEE Trans. Wireless Commun., 16(7):4445 - 4459, July 2017. “Massive MIMO in line-of-sight propagation”, Proc. 85th IEEE Vehicular Technology Conference, June 2017. “Cell-free Massive MIMO versus small cells”, IEEE Trans. Wireless Commun., 16(3):1834 -1850, Mar. 2017. “Heterogeneous Massive MIMO with small cells”, Proc. 83rd IEEE Vehicular Technology Conference, May 2016. “Energy-efficient resource allocation for Massive MIMO amplify-and-forward relay systems”, IEEE Access, Vol. 4, pp. 2771 - 2787, June 2016. “Cell-free Massive MIMO systems”, Proc. 49th IEEE Asilomar Conference on Signals, Systems and Conputers, Nov. 2015. “Cell-free Massive MIMO: uniformly great service for everyone”, Proc. 16th IEEE International Workshop on Signal Processing Advances in Wireless Commun., June 2015. “On existence of power controls for massive MIMO”, Proc. IEEE International Symposium on Information Theory, June 2015. “Performance of pilot reuse in multi-cell massive MIMO”, Proc. 3rd IEEE International Black Sea Conference on Communications and Networking, May 2015. “Energy efficient design of massive MIMO: How many antennas?”, Proc. 81st IEEE Vehicular Technology Conference, May 2015. “Quantized beamforming in massive MIMO”, Proc. 49th Annual Conference on Information Sciences and Systems, Mar. 2015. “A macro cellular wireless network with uniformly high user throughputs”, Proc. 80th Vehicular Technology Conference, Sept. 2014. “Total energy efficiency of cellular large scale antenna system multiple access mobile networks”, Proc. IEEE Online Conference on Green Commun., Oct. 2013. “Capacity performance of multicell large scale antenna systems”, Proc. 51st Allerton Conference on Communication, Control, and Computing, Oct. 2013. “Multicast Performance of Large-Scale Antenna Systems”, Proc. 14th IEEE International Workshop on Signal Processing Advances in Wireless Commun., June 2013. “Performance of conjugate and zeroforcing beamforming in Large-Scale Antenna Systems”, IEEE J. Sel. Areas Commun., 31(2):172-179, 2013. “Differential fade margin and handoff gain of wireless cellular networks”, Bell Labs Technical Journal General Paper Issue, June 2012. “Simple formulas for area coverage probability of cellular wireless networks”, Proc. 75th IEEE Vehicular Technology Conference, May 2012. “Cost effective improvement of EV-DO user experience through contention-based carrier addition”, Bell Labs Technical Journal General Paper Issue, June 2011. “Methods and apparatuses for configuring number of antennas for massive MIMO communication”. “Pilots assignment in cell-free massive MIMO wireless systesms ”. “Non-cooperative power control for large-scale antenna systems ”. “Large-scale antenna system as rural household broadband service backhauls”. “Multiplcast methods for large-scale antenna systems”.